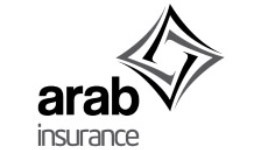 ESKA Insures is flexible and is able to serve Insurance Companies with Takaful - Wakalah Business Model. Takaful is a system designed according to the Wakalah business model. It provides a robust solution for the distribution of profits on the eligible policies for each business line per insurance product. Takaful provides flexible Wakalah fee setup definition & calculations factors, dynamic calculation of surplus amount & Al-Qard Al-Hasan, and auto calculation of incentives, capital reserve, and Profit. Takaful allows for the definition of operator fund and risk fund.